Realize that car insurance is meant to benefit you. It might be a legal requirement, and it might seem overpriced sometimes, but in the end it is still protecting you, your passengers, and your vehicle. 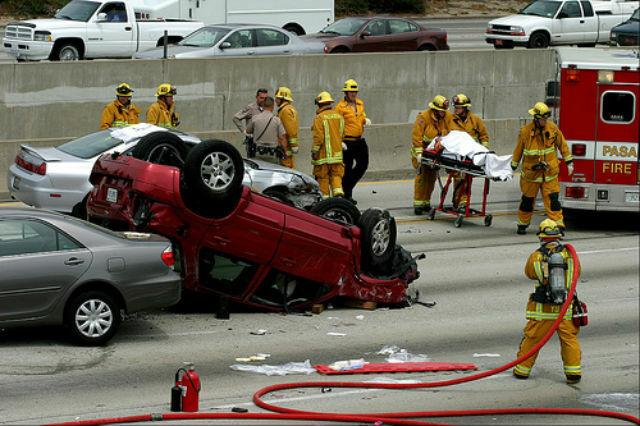 You do not want to make the mistake of purchasing subpar insurance that will not cover your expenses in an accident. If you do this, your premiums have been a waste, because you are still faced with thousands of dollars! The best thing to do is buy proper coverage to begin with. This means that when you begin comparing quotes, you first need to make sure the companies you are comparing are all offering the same amount of coverage, and that this coverage is sufficient to cover your needs. You could see one company that charges $200 a month, and another that will cost $100, and believe the $100 is a better choice. However, if you pay attention to coverage, you might realize the $200 company is offering a lot more coverage and options for the price, and the $100 coverage offers almost nothing. Coverage is always the first thing you need to compare. What type of coverage you should buy is not an easy question to answer. There are many variables such as how old your car is, what condition it is in, what kind of driving you do, and where you live. If you have a brand new car you will need more extensive coverage than an older, paid off car. A new car will likely benefit from protection against theft, fire, flooding, and other damages. An older car might cost more to insure comprehensively than it costs to replace, making the coverage not worth it. Older cars can generally get away with only having the minimum amounts of insurance required by law. If you are still unsure of the type of insurance you need, contact an insurance agent to get your question answered. After you have a solid understanding of your needs, you can shop around to get them met at the lowest price. You always want to keep in mind customer service, customer reviews, available discounts, and other benefits to being a customer when you compare companies.